Regarded as a multi-purpose ‘miracle tree’, Moringa oleifera is used around the world as a nutritious food for both humans and livestock, and as a cosmetic, medicinal and biofuel ingredient, moringa makes an easy meal. The tree plays a leading role in the business venture of husband and wife team Nomzamo and Vusi Khoza from Umnini near Umgababa, south of Durban. The Khozas are at the helm of a five-member co-op that grows moringa trees as well as a range of herbs, such as lavender, thyme, parsley and fennel. The crops are used in the manufacture of herbal products by Nomzamo’s company, People’s Bio Oil (PBO), under the Morana label. The Khozas first got the idea for a moringa-based business in 2006 while visiting Limpopo, where Moringa makes an easy meal with a nutritious punch. A range of 192 products has been developed, including hot chocolate, sauces and spices, health tonics, weight-loss supplements, and body and hair creams. A US-based consultant assisted with refining the formulas, especially for the body creams. Nomzamo was recently named the department of agriculture’s Best Female Entrepreneur of the Year for 2013. 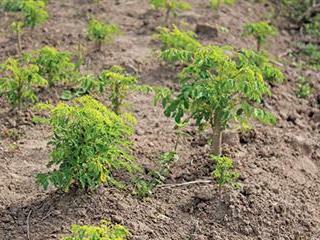 The Khozas imported seeds from Mozambique and about 18 months ago planted their first moringa trees. The Khozas now have 300 000 on 200ha of land. 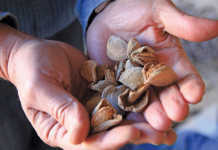 Production currently amounts to 100l of oil a month from the seed pods and 5 000kg of dried leaf powder. The first 40 products are already being manufactured, either at the Morana factory on the Khozas’ 38ha home farm in Umnini or outsourced to a facility in Amanzimtoti. “We don’t use any chemicals. We use crops like lavender, fennel and ginger as preservatives,” explains Vusi. “We import some exotic commodities such as shea butter, mongongo oil, watermelon oil, neem oil and Ginseng root.” The company has two shops, in Durban and Isipingo, and 200 distributors countrywide. Franchises have been sold in Mozambique, Argentina and Brazil. “We also want to sell moringa powder to traders so they can make their own products. 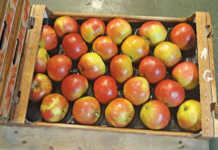 The current market price is about R320/ kg but we’re selling it for R79/kg to develop the market,” says Vusi. People’s Bio Oil owner Nomzamo Khoza and her husband, Vusi, the company’s CEO. PBO has 78 permanent employees and an additional 42 part-time staff during harvesting season. It also has off-take agreements with small-scale farmers who grow moringa trees and herbs. This provides much-needed employment in a region struggling with poverty and joblessness. The start-up capital for PBO came from the couple’s own pockets, generated by a number of agricultural pursuits. “We were interested in farming from the word go. After school, we started by growing indigenous plants in nurseries and now have capacity to grow one million seedlings. We soon realised that many small farmers here didn’t know the easiest way to farm,” says Nomzamo. “We developed training programmes to assist small farmers to follow the simplest methods to plant crops and start nurseries, as well as to farm chickens and build co-ops.” The Khozas are also collaborating with Mozambique’s agriculture department to help communities grow moringa and build awareness of the uses of the tree. “All parts of the tree have value. By producing moringa-based natural medicines and food supplements, we can improve health and create sustainable jobs in rural communities while protecting and promoting indigenous knowledge,” says Nomzamo. Numerous activities take place at Umnini. 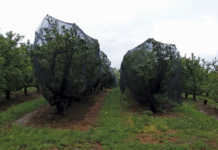 Seedlings are grown under shade cloth and herbs on open land. There are also broiler houses. The Morana factory is being expanded to increase production capacity. A laboratory is also being added, as well as office space for students who are interested in doing research on the moringa tree. Three fish ponds were recently completed for a tilapia breeding and training project, and a department of agriculture-funded oyster mushroom project is due to kick off in September. “This will be run by our staff as an empowerment project as a way for them to supplement their diets and earn extra money,” says Vusi. Early next year, the Khozas plan to release moringa porridge as well as an energy drink on the market. Cornflakes made with community-grown corn and a livestock feed containing moringa are also under development. The PBO venture has caught the eye of the Department of Agriculture, Forestry and Fisheries (DAFF), and Nomzamo recently won DAFF’s Best Female Entrepreneur of the Year 2013 #DAFFFEA, as well as the titles of National and KZN Top Entrepreneur: Export Market. The three awards carry a total purse of R870 000. Nomzamo plans to use the prize money to expand PBO’s manufacturing capability. “These awards are a blessing and we truly appreciate the support of DAFF after so much hardship and sweat,” she says. Phone People’s Bio-Oil at 031 903 2332/7 or 072 862 0672, or email [email protected]. Visit www.pboil.co.za. This article was originally published in the 20 September 2011 issue of Farmers Weekly.